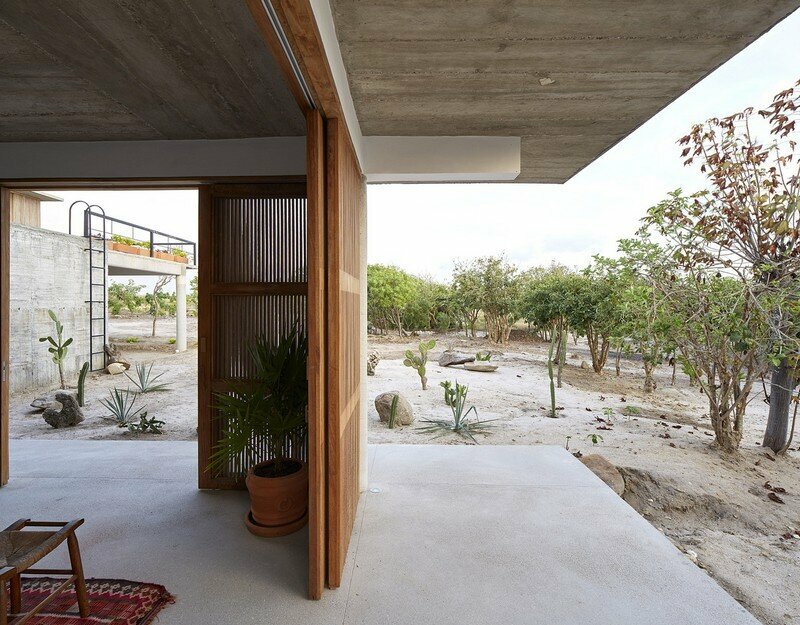 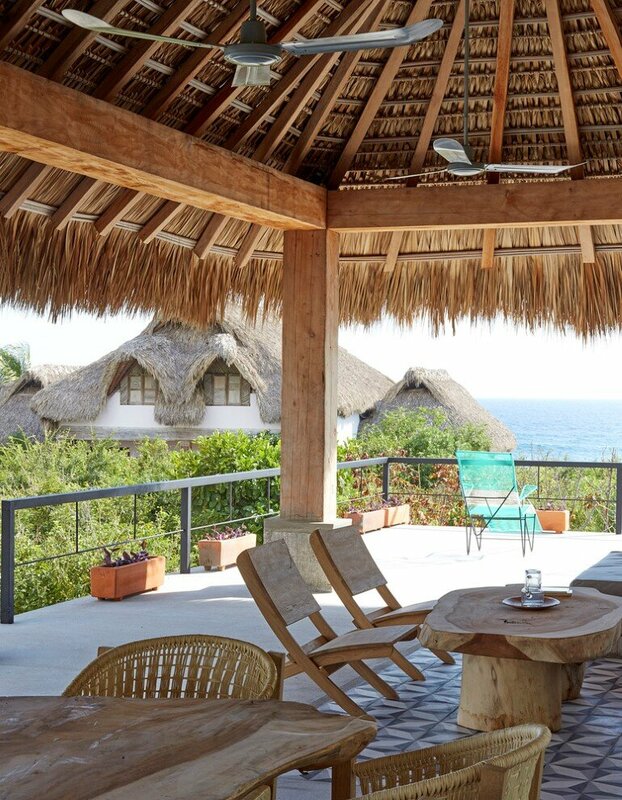 Designed by Alfonso Quiñones of Baaq studio based in Mexico City, Casa Cal is part of a group of six houses near Puerto Escondido, Oaxaca – a popular tourist destination, with scenic beaches and a thriving surf culture. 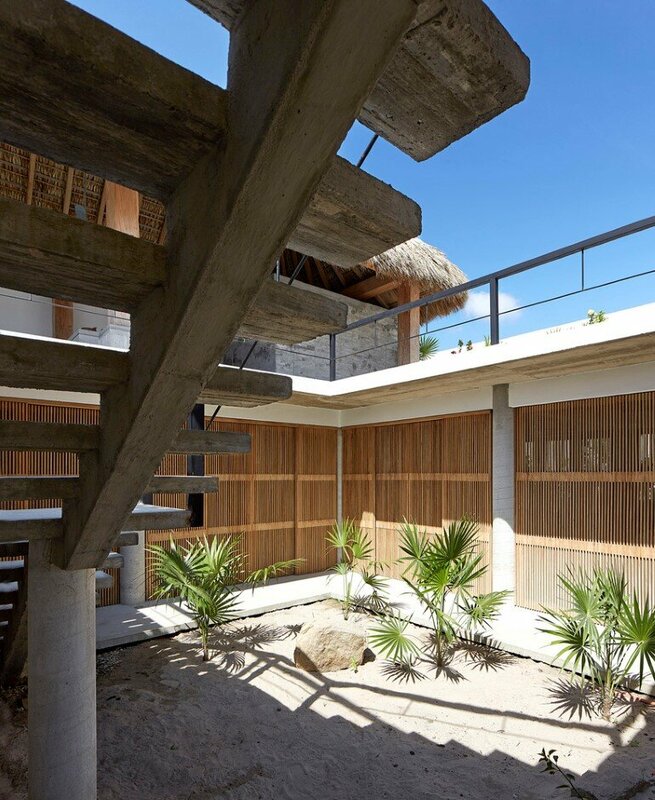 Set back from the beach behind a row of houses, this Mexican Villa has terraces and a swimming pool to allow its residents to relax in the open air overlooking the ocean. 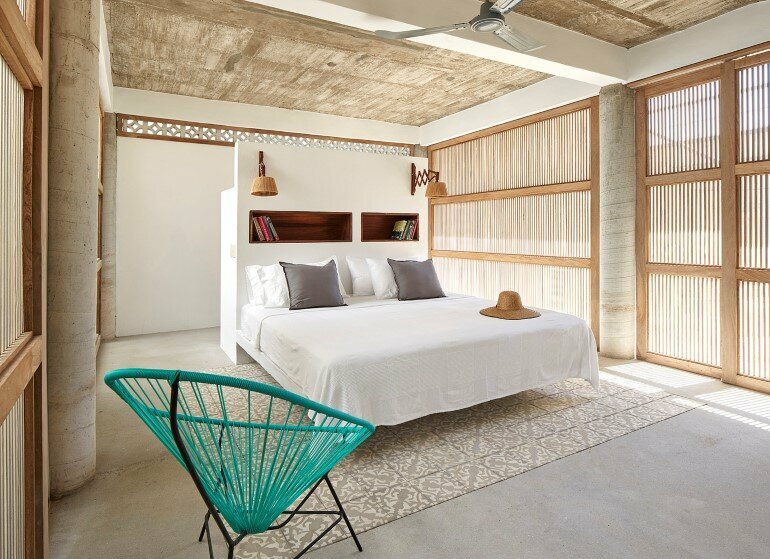 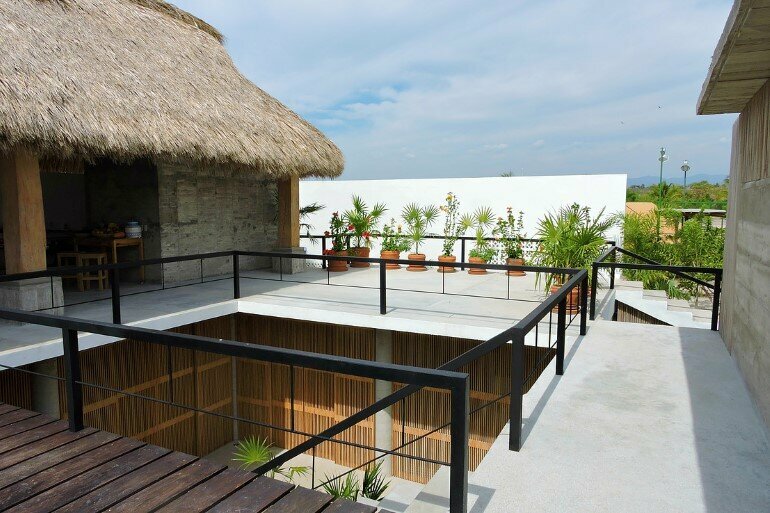 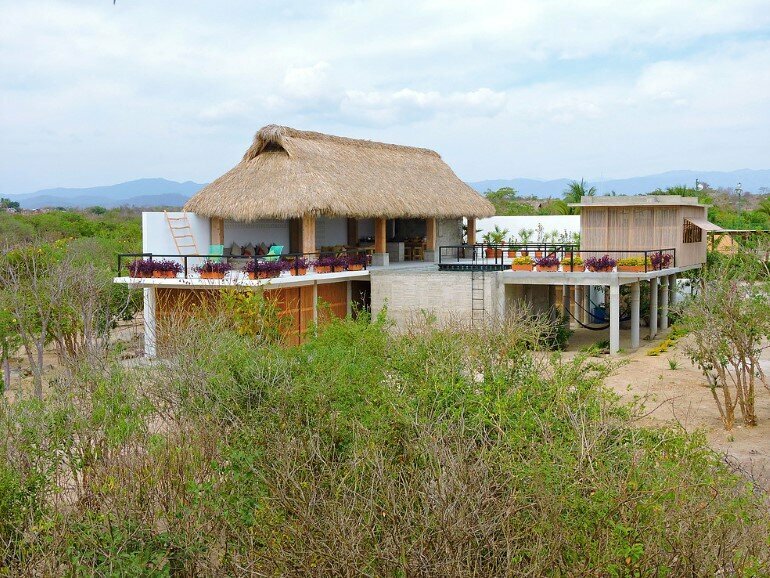 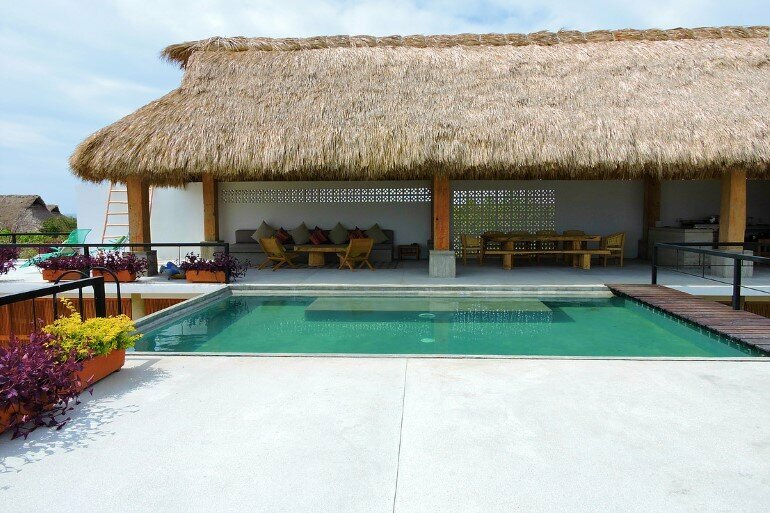 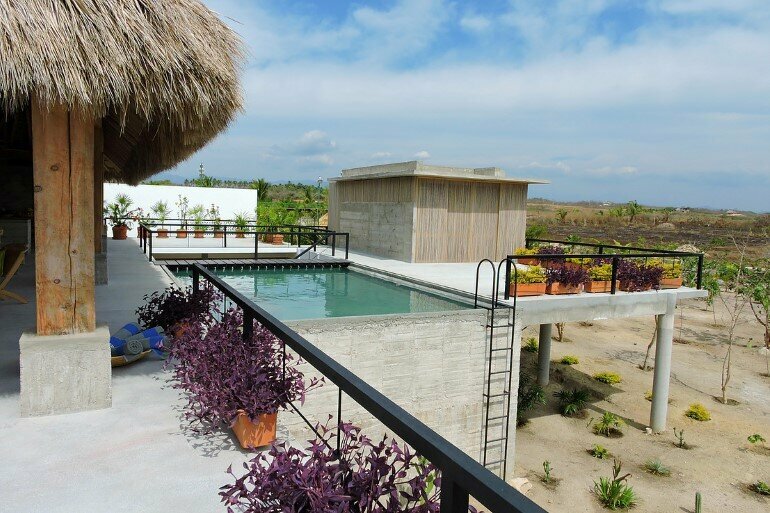 Casa Cal is a beach house belonging to a development of 6 houses in the coastal community of Santa Helena, Oaxaca. 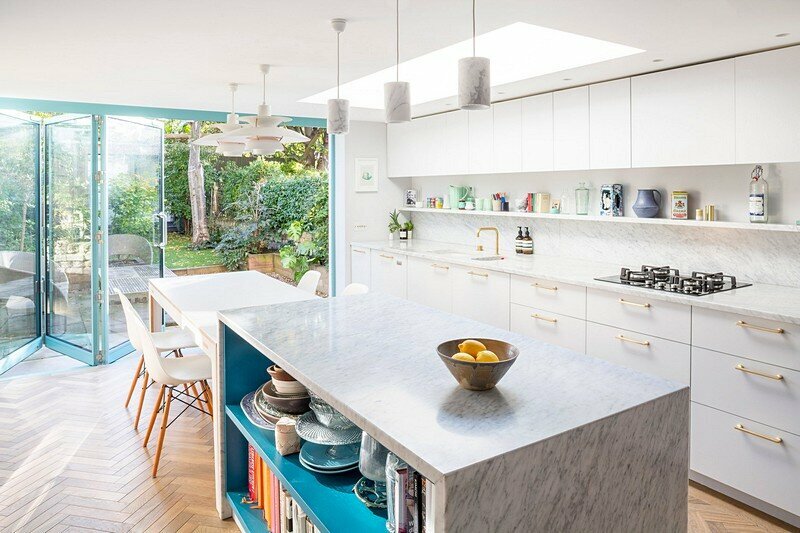 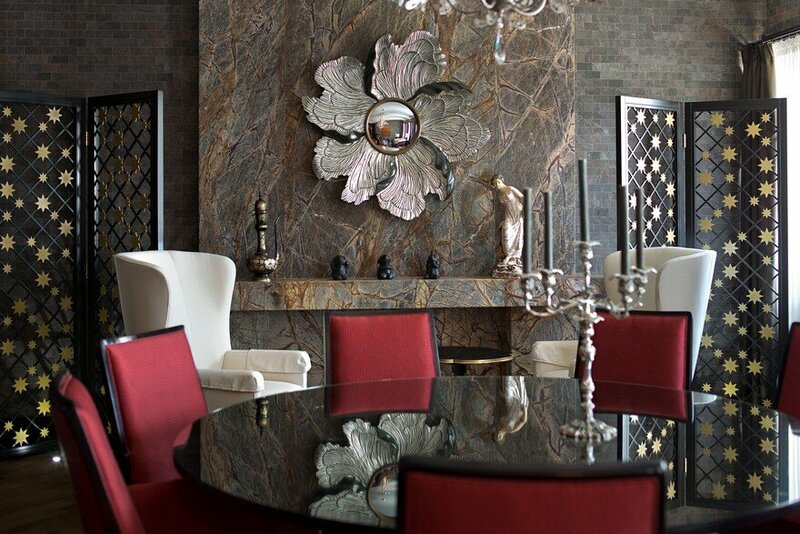 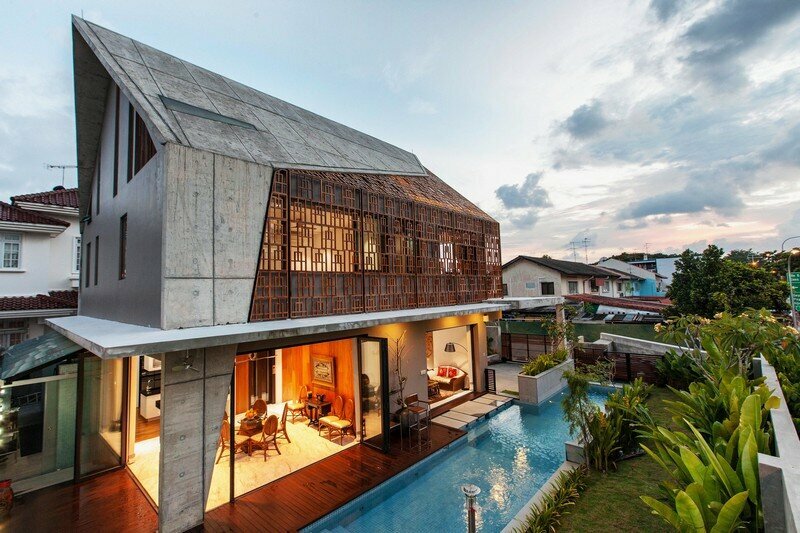 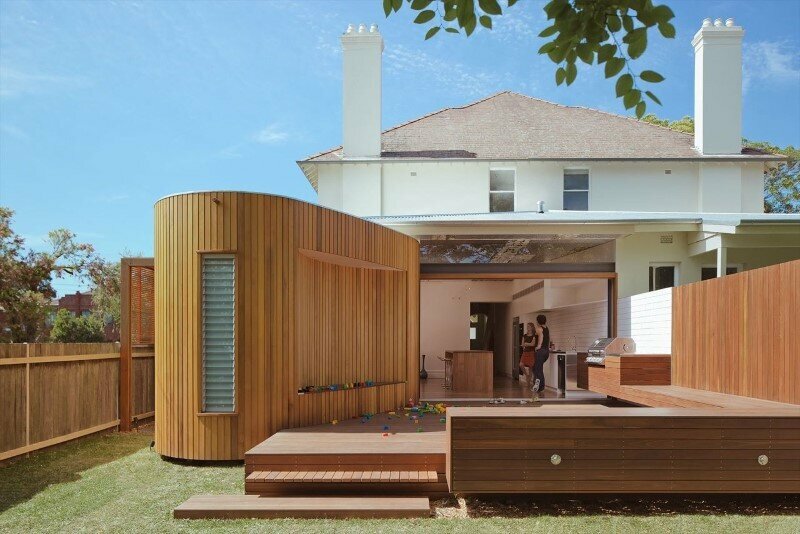 The design takes advantage of the existing foundations of an earlier project that was not completed. 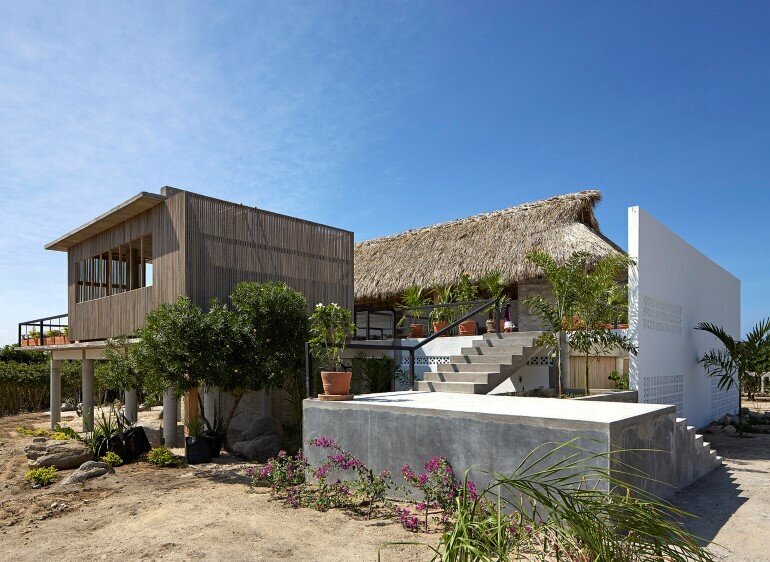 The land is located on a second line of houses, so the sea view is interrupted by the other houses and dense vegetation. 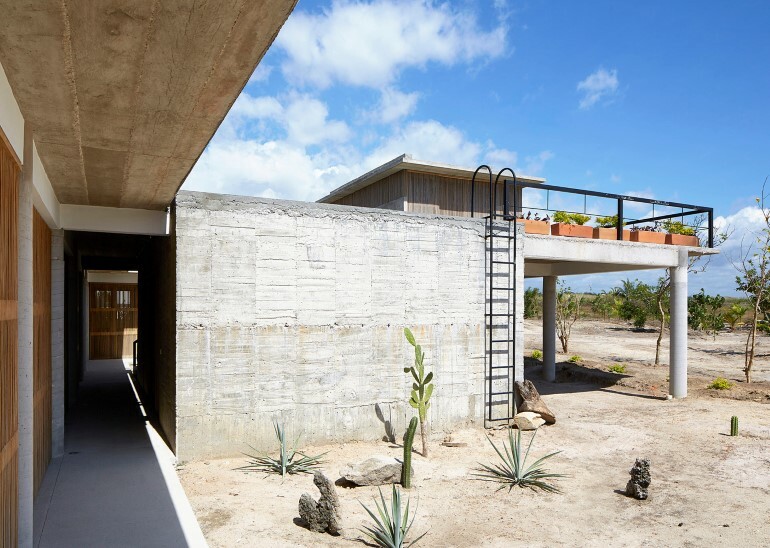 Considering this and to take advantage of ocean views seen from the first floor it was decided to reverse the traditional program (ground floor = Public / social and upstairs = private / bedrooms) and install the public area on the ground high. 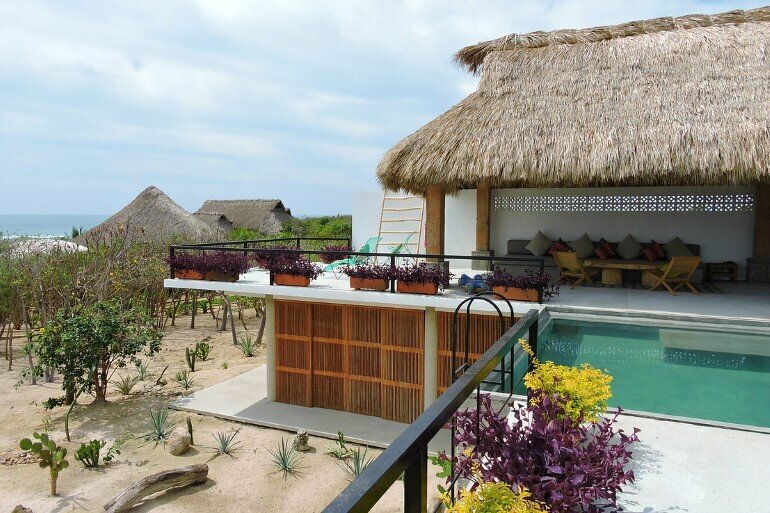 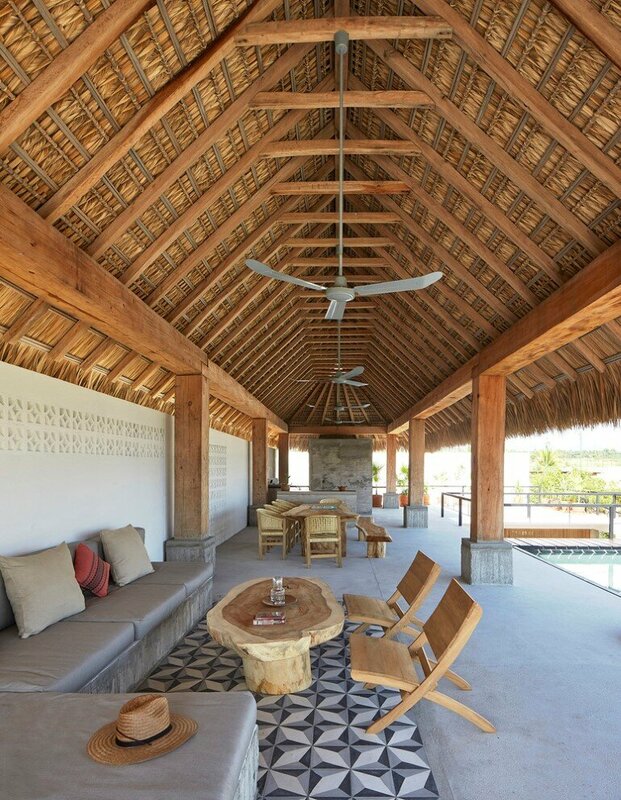 Another important reason was the weather so placing bedrooms on the ground floor slab they are protected from sun by the palapa (A “palapa” is an open-sided dwelling with a thatched roof made of dried palm leaves). 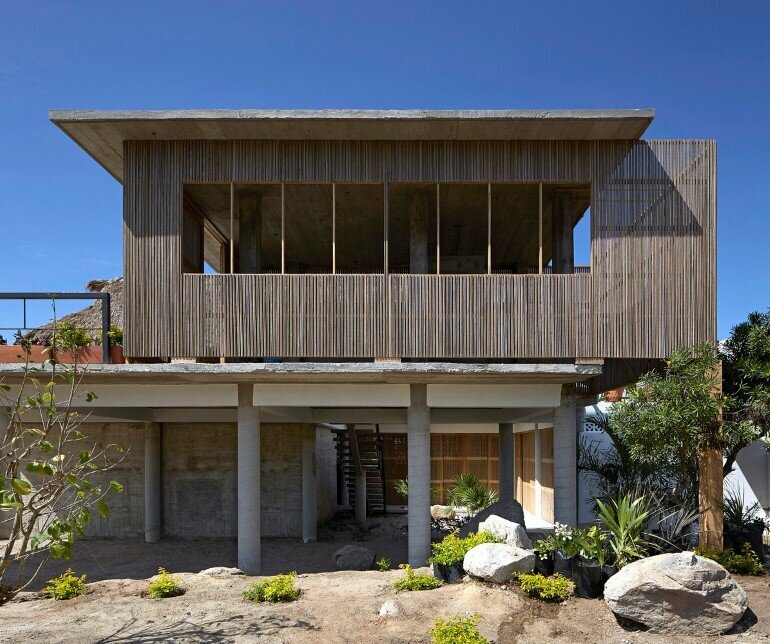 The project has two faces: one completely open to the sea and the other completely enclosed by a white wall with small openings in the form of lattices that serve the function of allowing the wind flow and at the same time give privacy. 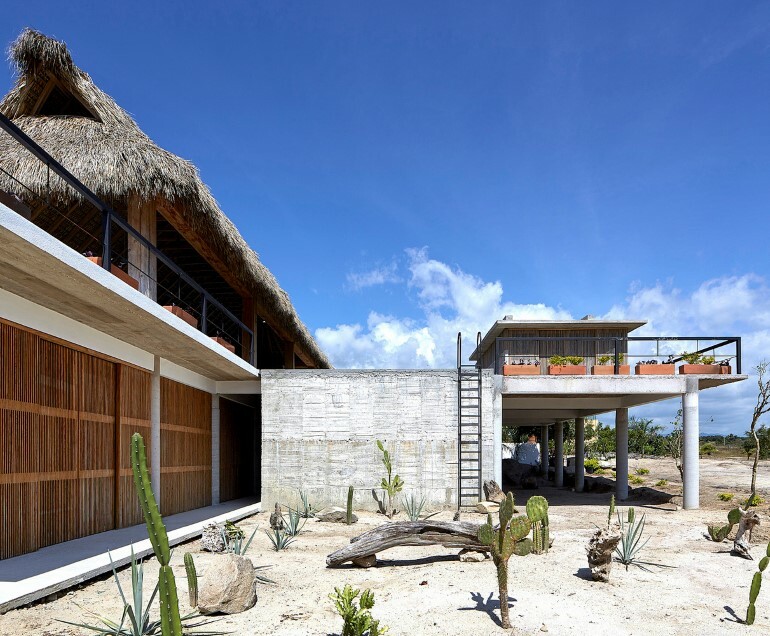 The wall gives privacy by blocking the view of the common areas and enhances the view of the ocean, thereby generating a contrast between the north and west facades to the south and east where the first is completely closed and the other completely open. 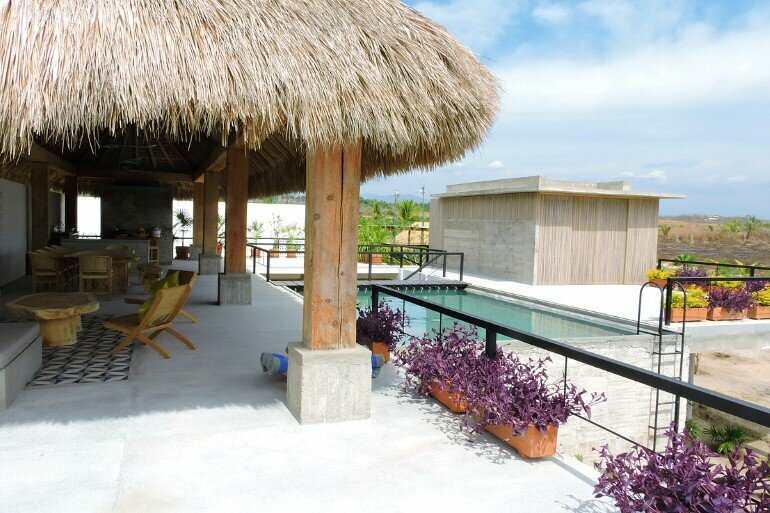 The building has a L-shaped plan, wrapping around him the terraces and pool. 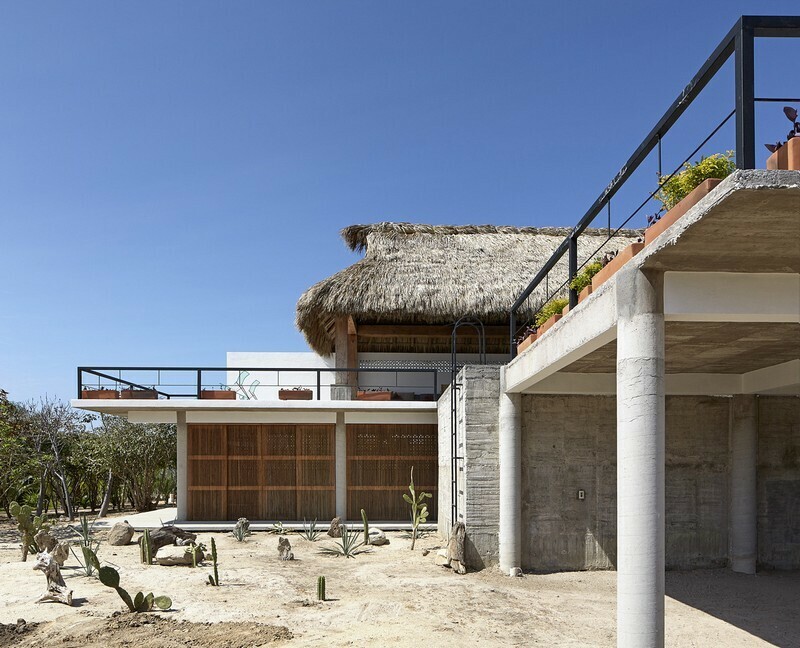 The concrete provides the framework for all of these structures while the roof is made of a wooden frame and layers of dried palm leaves. 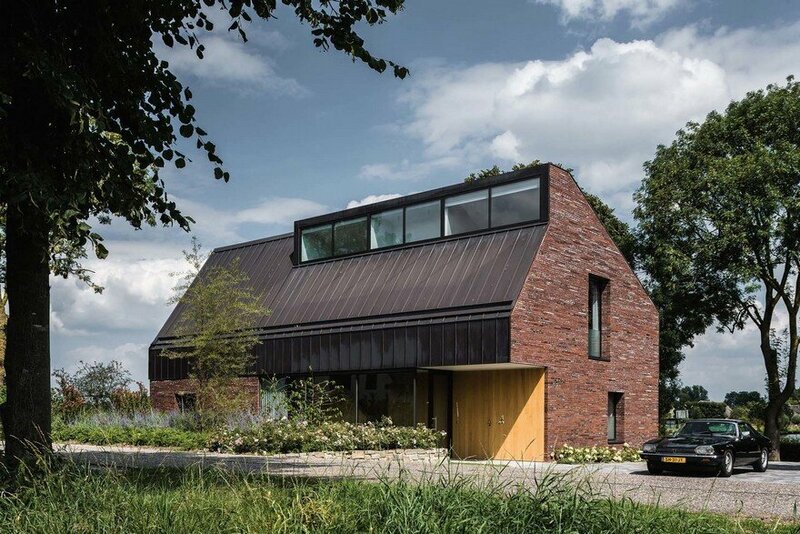 A coupling material that works great and combines cold and hot.